WTF is that? 10 changes coming to The Strip in 2014. 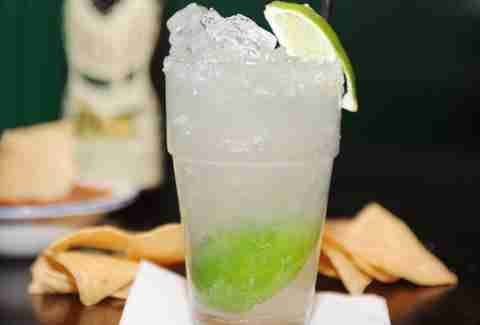 Legend has it that the original Hussong’s in Mexico created the very first margarita in 1942 with equal parts tequila, Damiana, and lime served over ice in a salt-rimmed glass. It was named after the daughter of a German ambassador, and if you believe the tale, the rest is history. 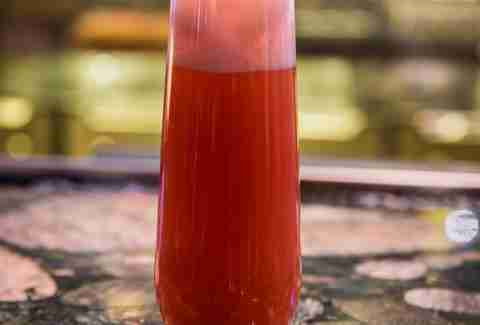 Head to the modern-day Hussong’s at Mandalay Bay and experience the original recipe for yourself. Unfortunately, the Tres Amigos Margarita has nothing to do with a Chevy Chase movie from the '80s, but to make up for that fact, it comes with a shot of Sauza Hornitas Silver and a Corona poured on top. It’s perfect if you can’t decide between beer or a cocktail. It’s also reduced from $12.95 to $8 this Saturday and Sunday. This two-story bar in front of the Monte Carlo has more than an open-air balcony with a perfect view of The Strip. 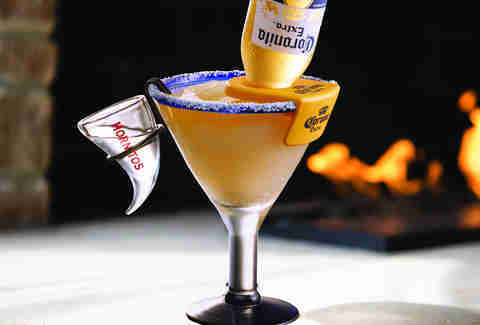 It also has The Sancho -- an absolutely massive 42oz house margarita that can be served on the rocks or frozen. Oh, and sharing is optional. Advisable, but optional. You don’t need a glass, just an 88oz plastic guitar that Rockhouse fills up with its signature margarita. It’s 35 bucks, but you get to keep the guitar and bring it back for $22 refills. Sadly, the breasts in the photo are not included, but everyone will start to look like the girl they're attached to if you drink the whole thing yourself. No need to order Champagne when the first big restaurant at The LINQ is putting it in your margarita: The Senorita's made w/ Cazadores Silver Tequila, fresh lime, fresh strawberry & Moscato d’Asti. Oh, and it's 2-for-1 on Margarita Day. So bring a date… or prepare to double-fist. 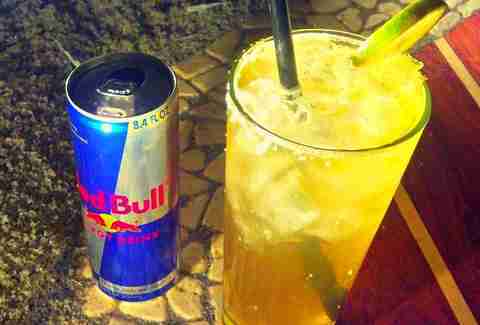 Skip the gas station for your energy drink and swill this sucker made with Margaritaville Gold Tequila, triple sec, sour mix, and yes, Red Bull. 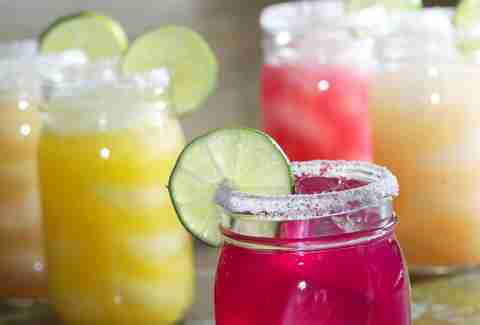 Stop by Saturday for a complimentary margarita-making class from 3-4pm. 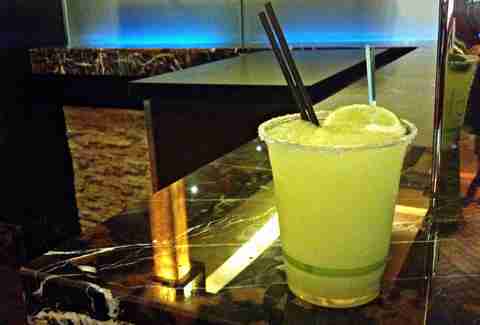 All of the house bars at Station Casinos properties sell 99-cent Margaritas. All. The. Time. So the next time you visit Palace Station to check out the spot where O.J. Simpson got busted for stealing sports memorabilia, order one that's exactly where “The Juice” is now: on ice. If you want something sweet and spicy, you can order the orange chicken from your favorite Chinese joint... or head to the best Mexican restaurant ever opened inside a giant pyramid and get yourself the Pineapple Chipotle Margarita. 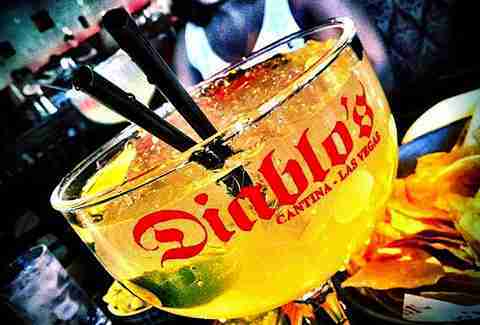 2-for1 deals on all top shelf margaritas from 11am-3pm this Saturday. 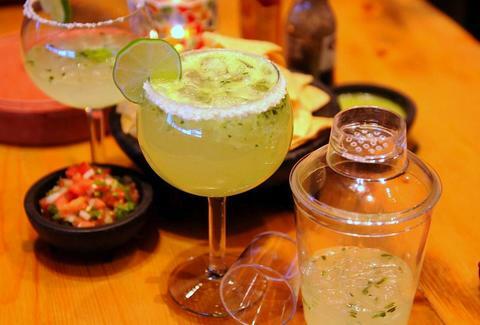 La Comida has a wide selection of margaritas – served in Mason jars with the best tequila menu in the East Fremont district, but If you're brave, the one to get is the Siempre Caliente: it’s made with hot sauce (the nation’s new favorite condiment!) 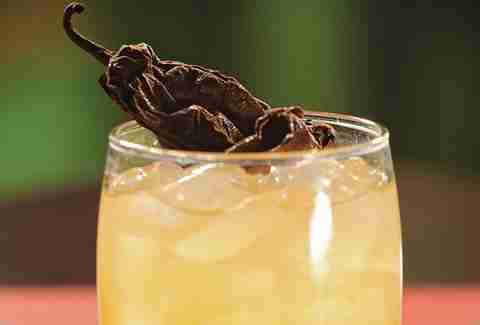 AND habañero-/jalapeños-infused Herradura silver tequila. 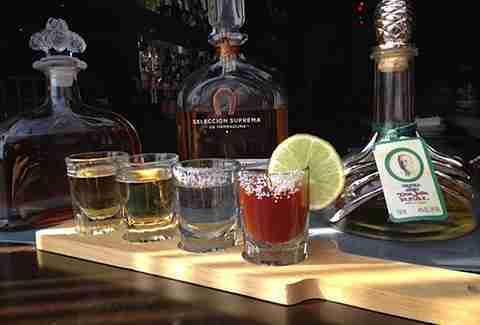 Of course, tequila is the magic ingredient in any margarita, and La Comida's letting you try three of the sweeter ones with its El Millionario Tequila Flight, which gets you samples of Gran Patron Bordeaux, Don Julio Real, and Herradura Seleccion Suprema, and a Sangrita chaser for just $235.